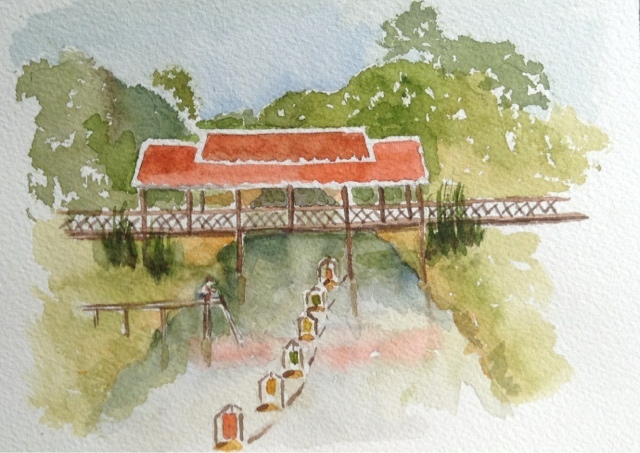 My husband Jeff and I are finishing up the Cambodian part of our travels. Cambodia is such an interesting country. The people are so kind and the history fascinating. 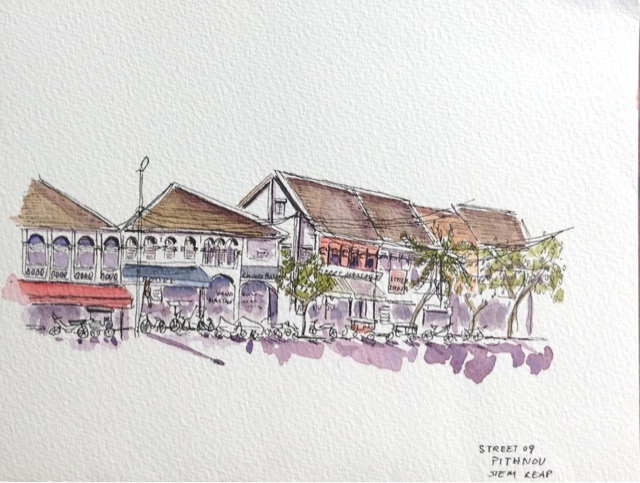 Sketching has been limited but here are two from the charming city of Siem Reap. Lovely sketches. I especially love the red rooftops surrounded by rich greens. I just finished reading "In the Shadow of the Banyan" about Cambodia. I highly recommend it. Beautiful sketches, Peggy... can't wait to hear about your adventures!